In this tutorial, you will learn to set marquee effect (scrolling text) in android TextView using XML and little bit java code. 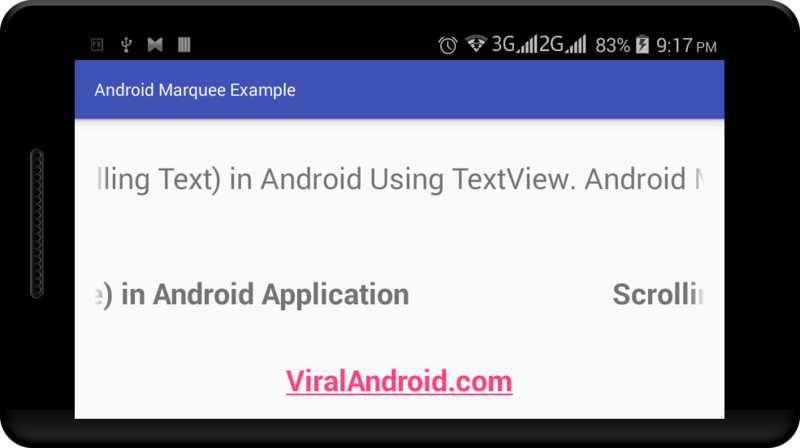 A TextView is an android UI component, which displays text in android application in different format and here I am going to use TextView to make scrolling text (marquee). In android to make scrolling text animation (marquee) is quite easy. We just need to add some attributes in TextView and write one line java code. Now, run your marquee example application, to see how it looks like.